A familar color scheme last seen on the Air Jordan 1 back in 2003 will be making a return to retail next year. 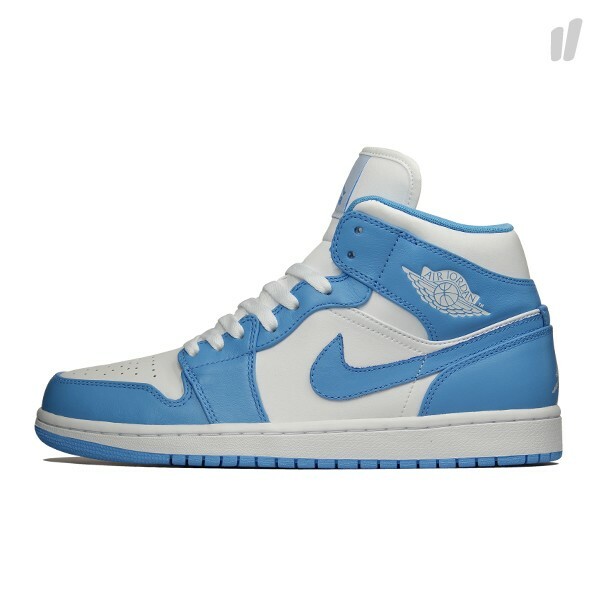 We're taken back to Michael's day's at the University of North Carolina, re-creating a colorway last seen on the Air Jordan 1 Patent back in 2003. Premium leather constructs the classic shoe this time around, covered in a combination of white and university blue. The White/University Blue Air Jordan 1 Retro Mid is expected to hit select Jordan Brand accounts in February.